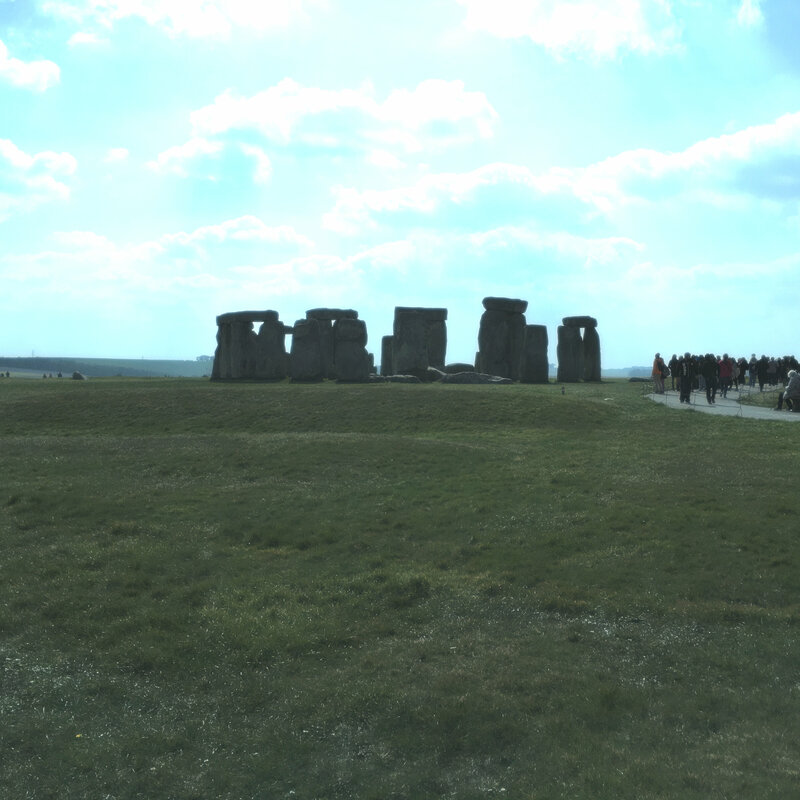 Today I used my English Heritage Press Pass (!) 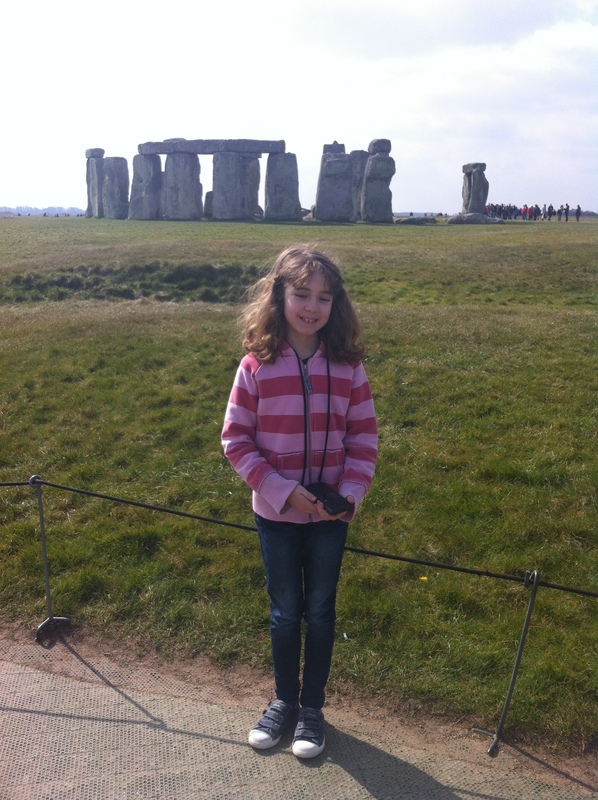 to go and visit Stonehenge. 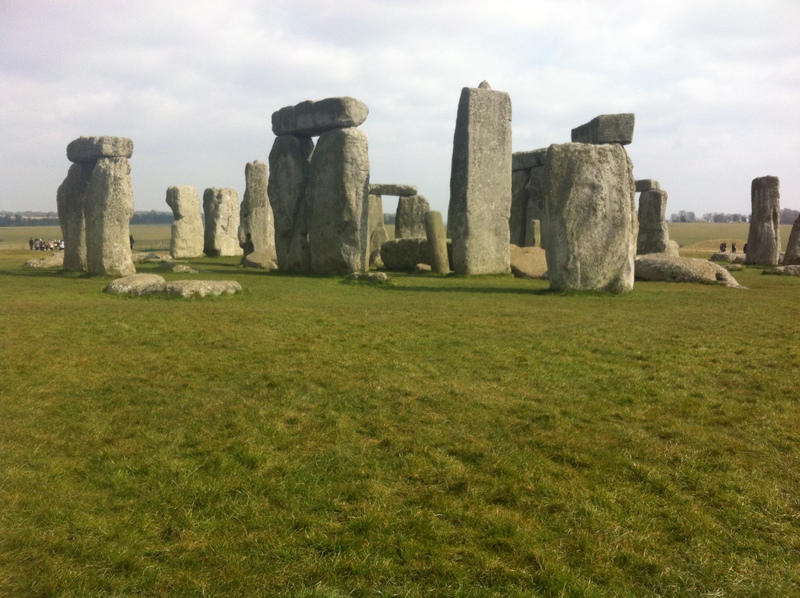 I never really wanted to go to Stonehenge at first but it turns out that it is GREAT! And it is not just a pile of stones! 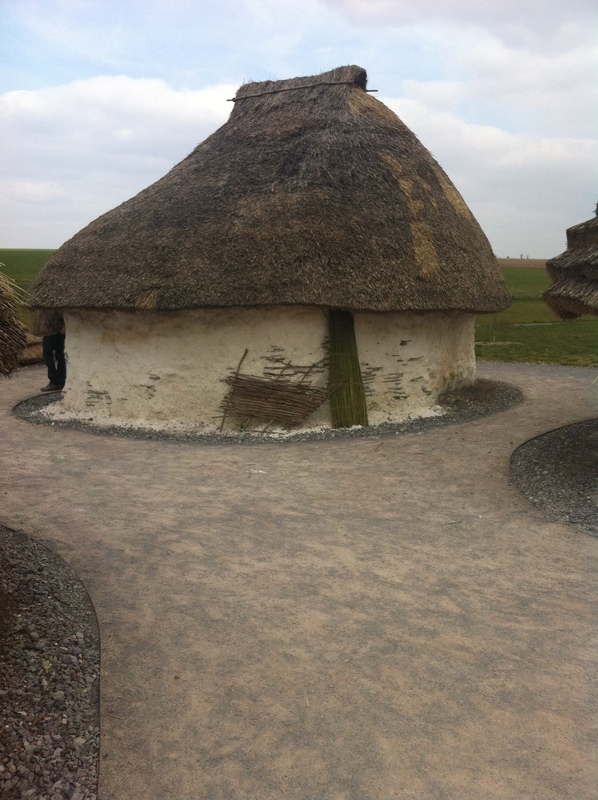 We parked by the new visitor centre (which was awesome) and got the little bus to the stones. It was only a 5 minute journey. Before though, I picked up a Horrible Histories Audio Guide. 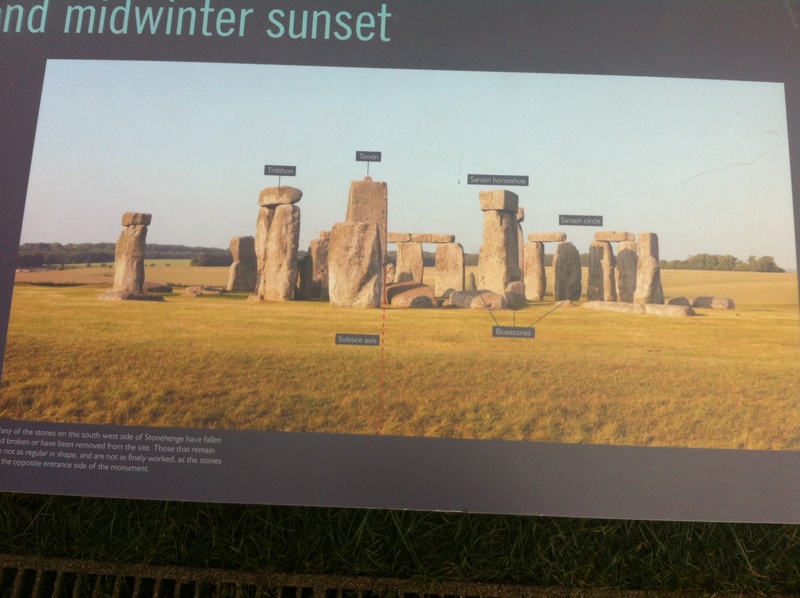 When you walk along the path beside Stonehenge, there are numbers on signs as you go along. 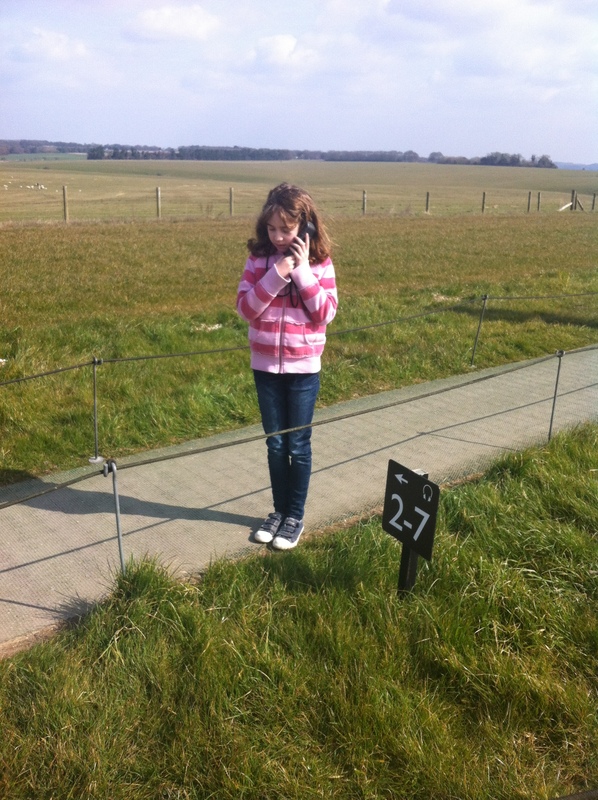 You press this number on your audio guide and it tells you some facts about Stonehenge. I especially like the bit when there would be a funny sound on the audio and it would say “Grown-ups, Stop listening now!”, and I would have to listen and tell my grown-ups afterwards. 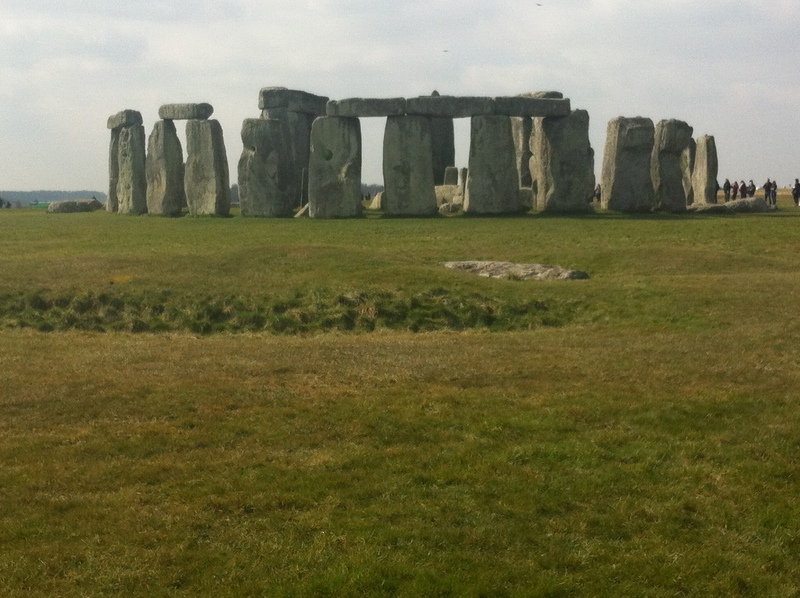 When I got up close to Stonehenge I could see how big they were. They think that they were a bronze age calendar. 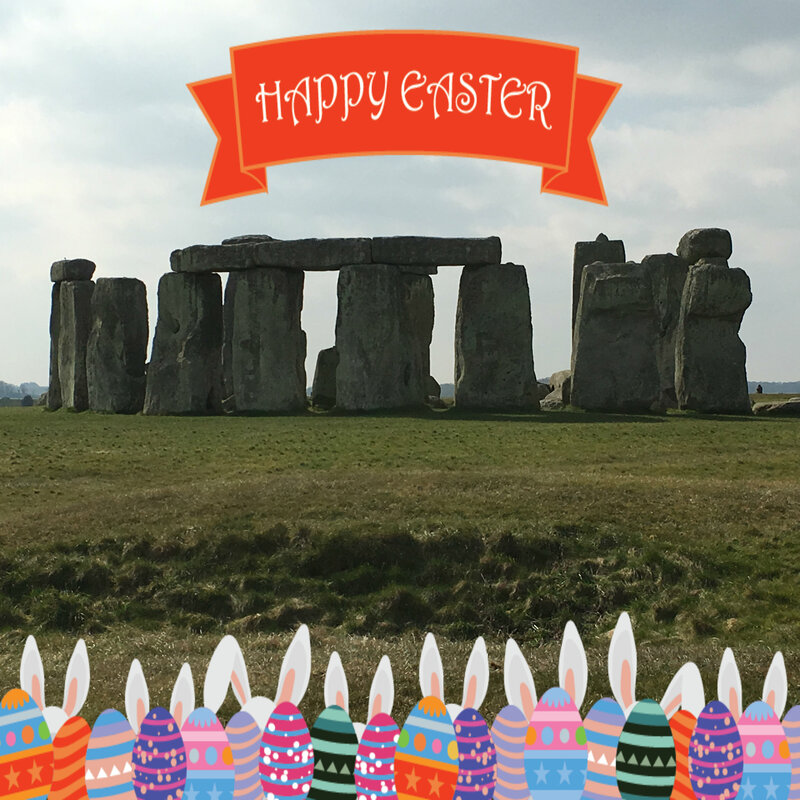 On the longest and shortest days of the year, the sun will rise between the largest stones. The stones came all the way from Wales. On some of the stones we could see a ‘pip’ like a Lego brick that helps the stones stay together. 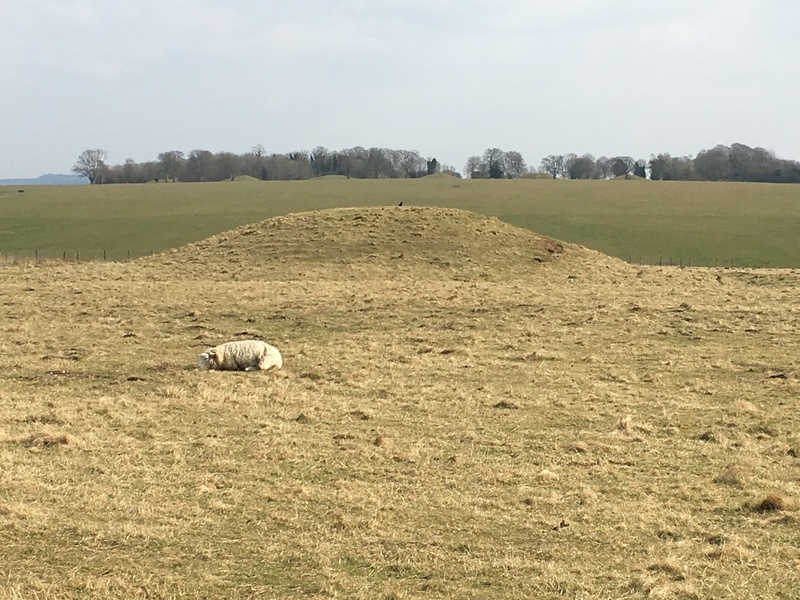 Nearby we could see many barrows on the landscape. 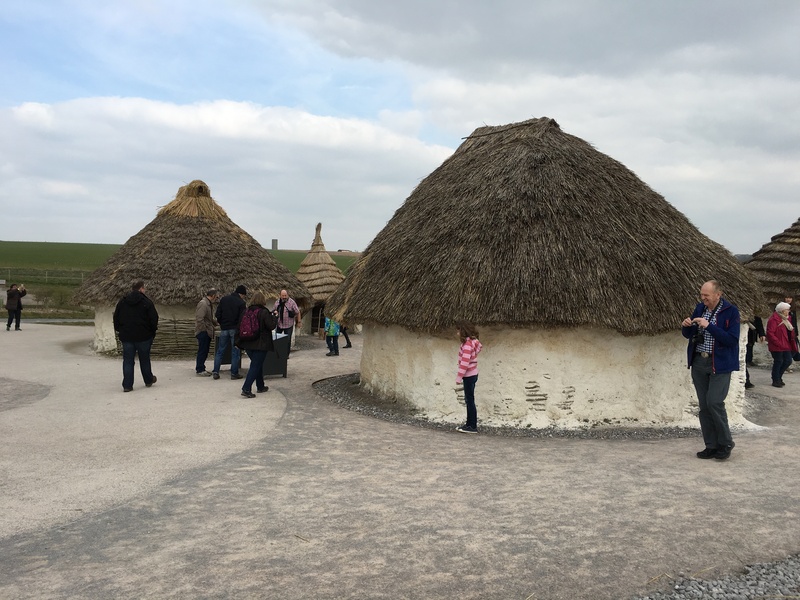 After we walked around the stones, we took the bus back to the visitor centre and Mat showed us around the museum. 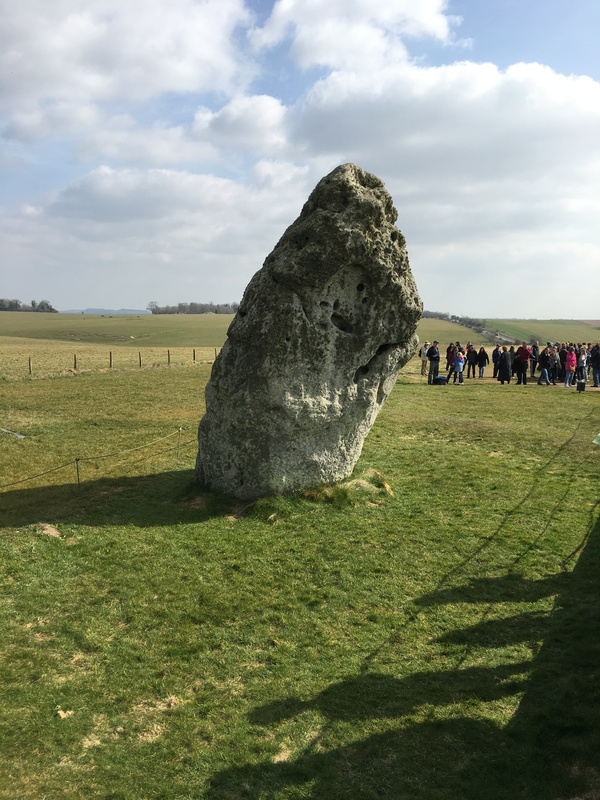 He was brilliant and gave us as many facts about Stonehenge as he could in 3 minutes! 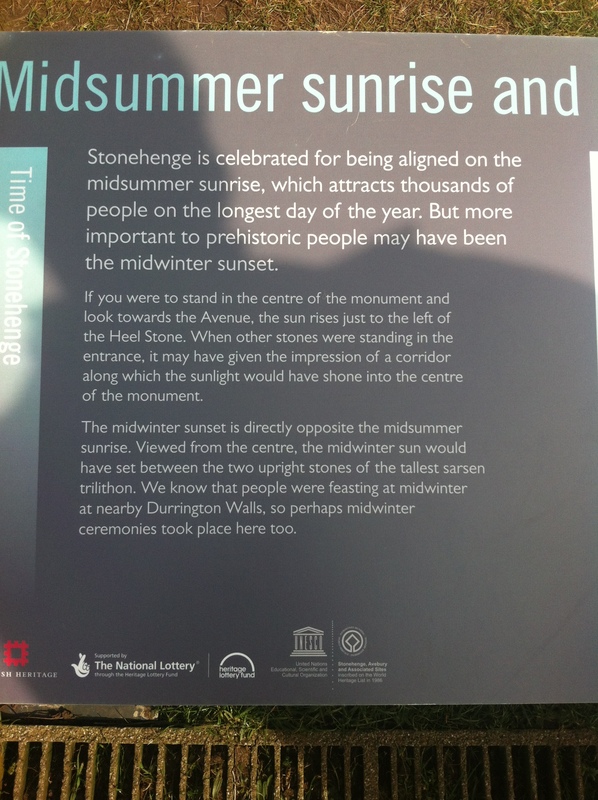 Inside the museum, you can stand inside a circular room when they shine the stones on the walls so it is like you are within Stonehenge. It was really cool. 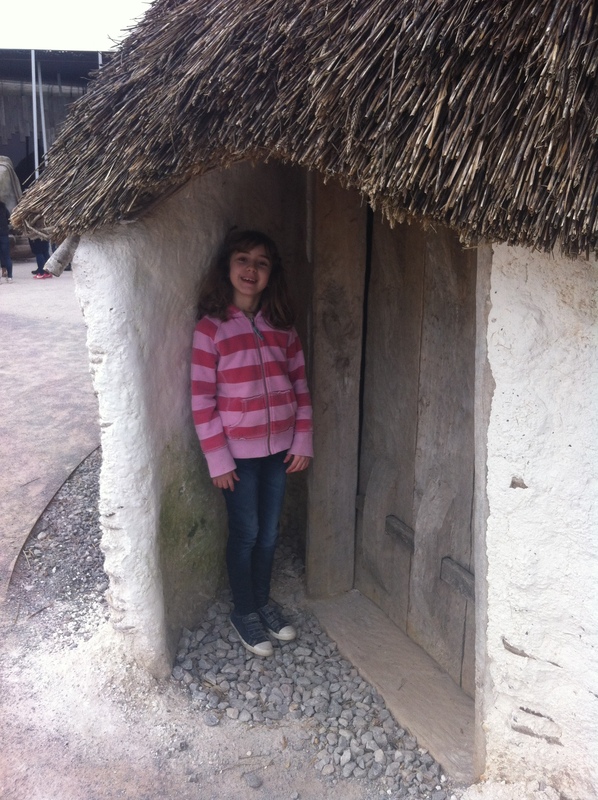 Then we went outside to the re-created Durrington Walls Village, which was really good. 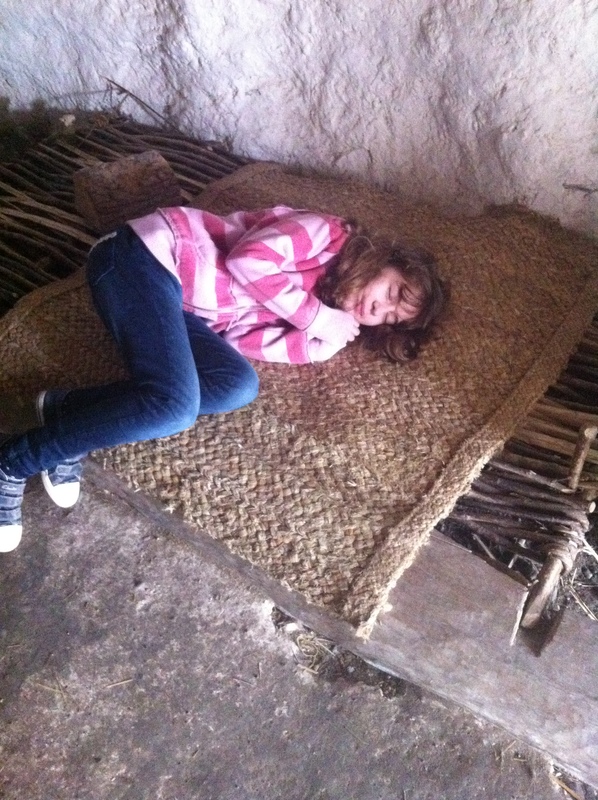 I was a bit tired so I had a lie down! 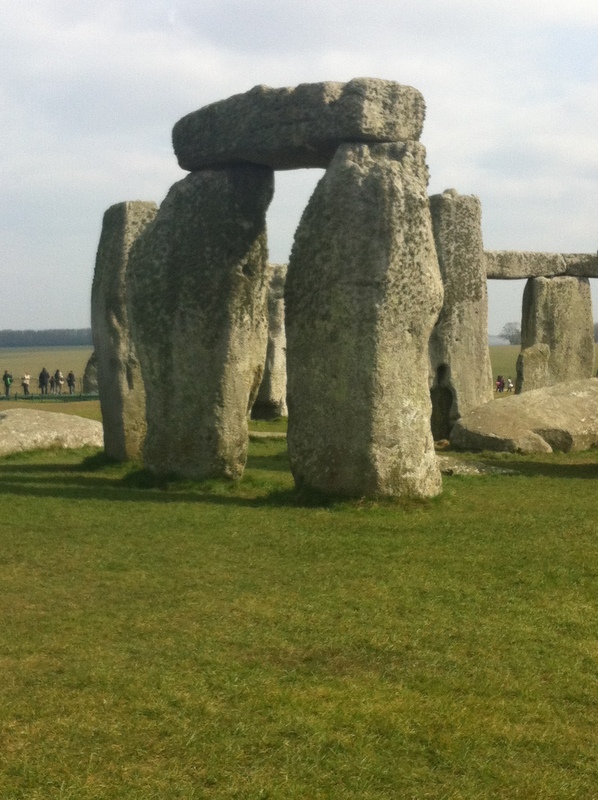 Then I tried to pull one of the large stones but I couldn’t do it! 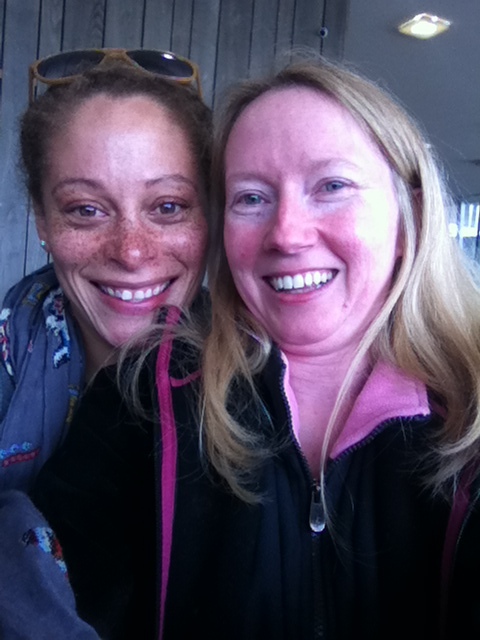 Then we went into the cafe and my Mummy bumped into her friend, Honey! 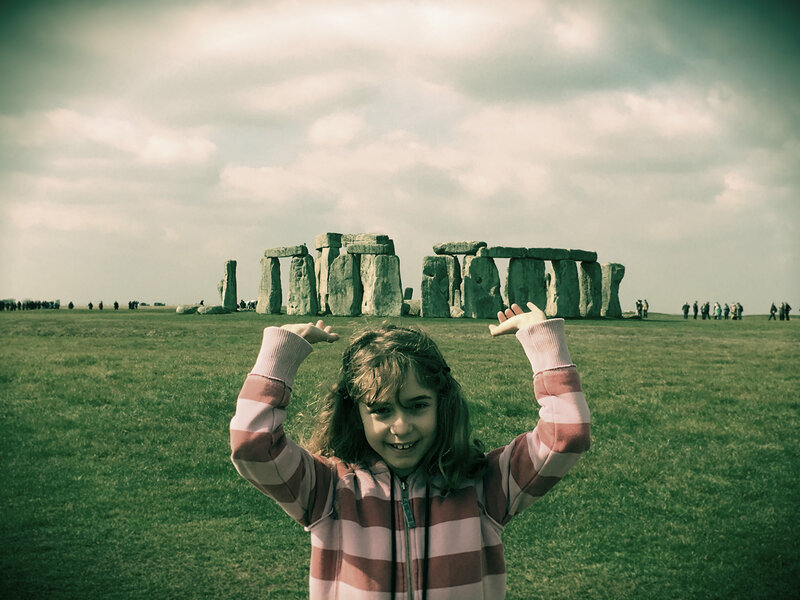 I realise that you can’t have too many pictures of Stonehenge, so here we go! 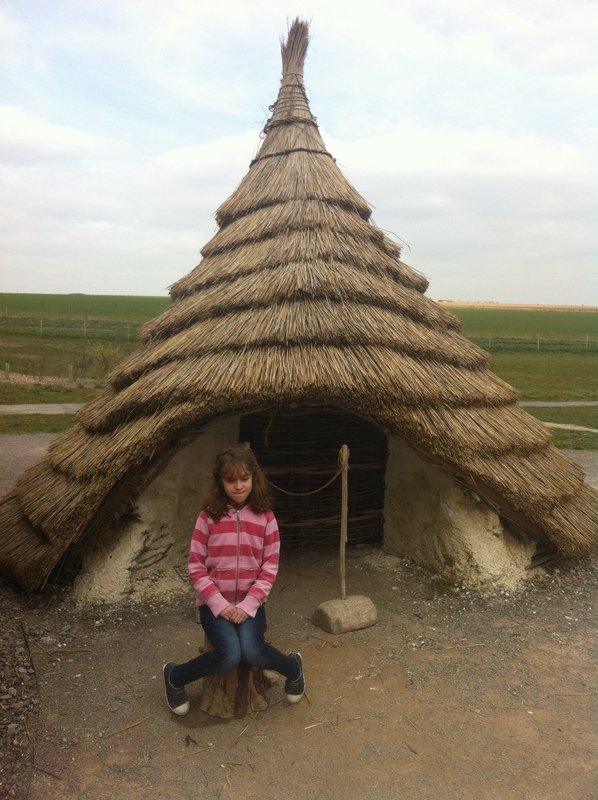 This entry was posted in Day Out and tagged English Heritage, history, Stonehenge. Bookmark the permalink. 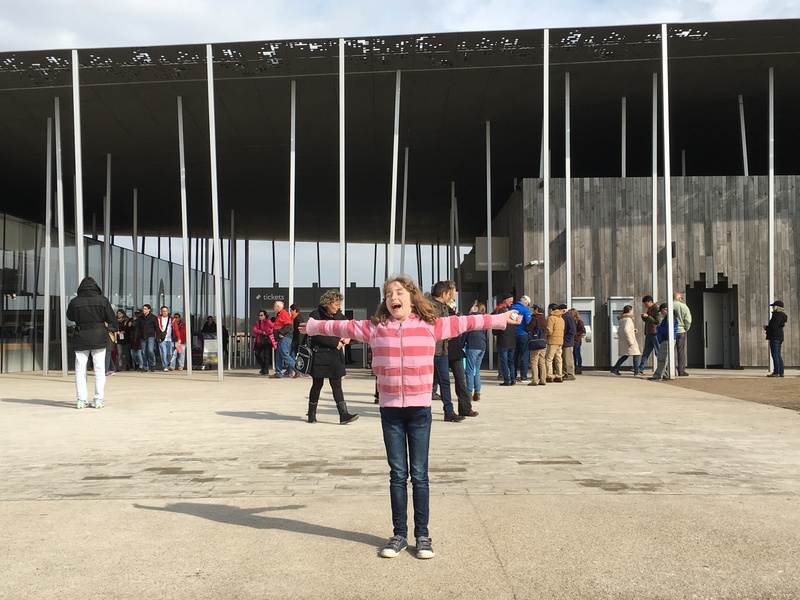 What a brilliant interesting blog we thoroughly enjoyed looking through it.